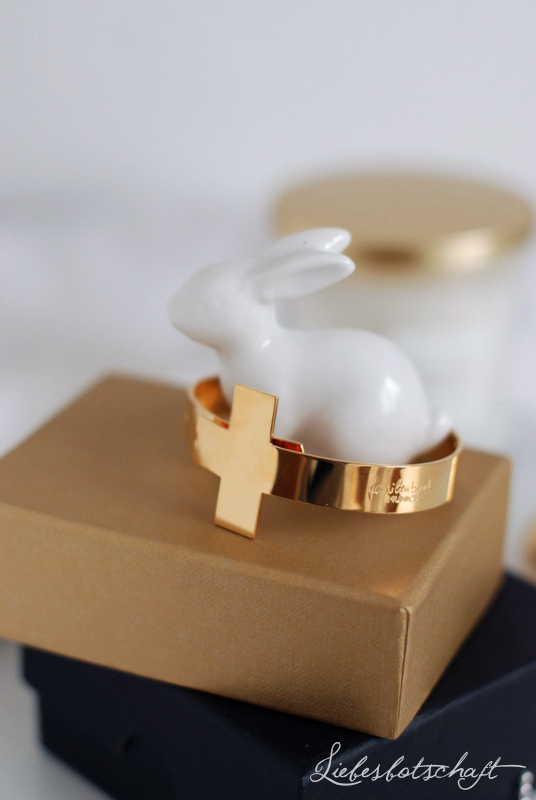 Liebesbotschaft International: Prettiest jewelry for Easter – and why it is perfect for California. 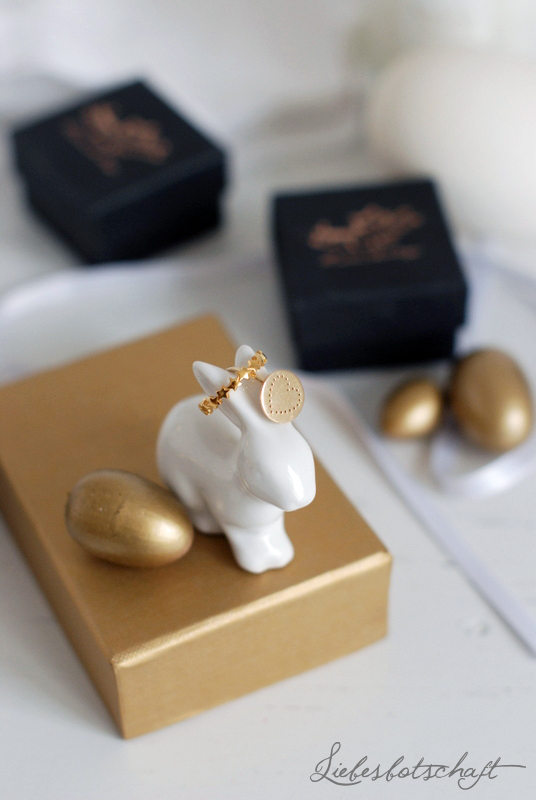 Prettiest jewelry for Easter – and why it is perfect for California. 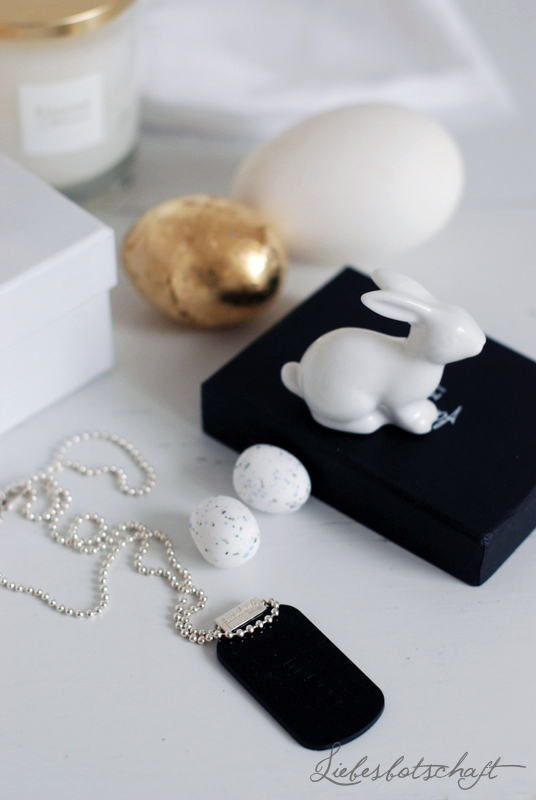 This year there will only be a small gift for Easter. Or 2 or 3 of them because they are so slim and look best when worn together anyway. And a necklace for the husband. All these pieces of jewelry share something with my trip to California – and not just the fact that I will take them with me. Our future place of residence for the next few months will be Santa Cruz. (Santa Cruz, California, USA, make no mistake – do not confuse with the Spanish town on the Canaries of the same name). Santa Cruz is also called "Surf City USA", so we spontaneously picked this town. This was one reason; the other was that I instantly managed to find one of the few houses there, which was not decorated in an absolutely ugly/over-furnished/tacky manner (or all three of them together!) – and additionally in line with my budget. It wants to be mine. The pure design is also exactly what I like. 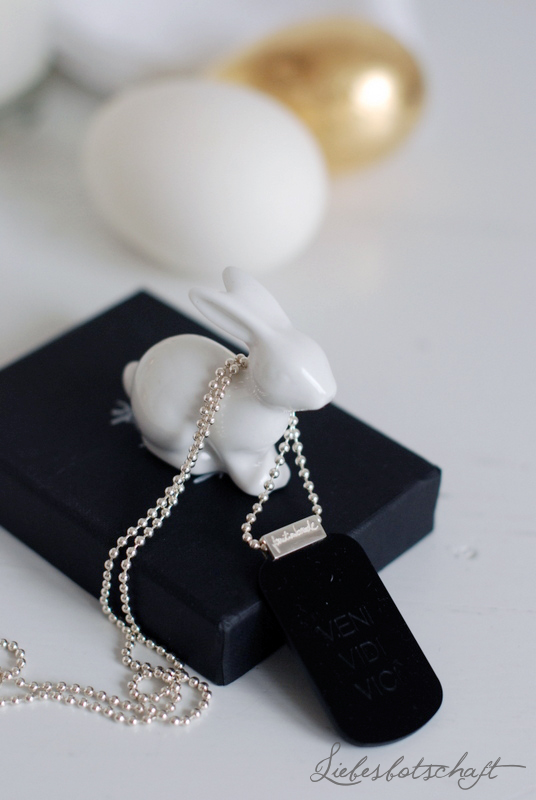 The parcel from Familienbande also contained a necklace for boys – it is often a little challenging, men and jewelry, and this one is so simple, beautiful and stylish. Additionally, I had it engraved with a wishful quote. Someone provided me with a car to use during the time in California. Quite spontaneously a day after my California post. It turned out that the owner’s name is Anette, who lived in California for 10 years with her family – and chauffeured her kids and their surfboards around in exactly this car. 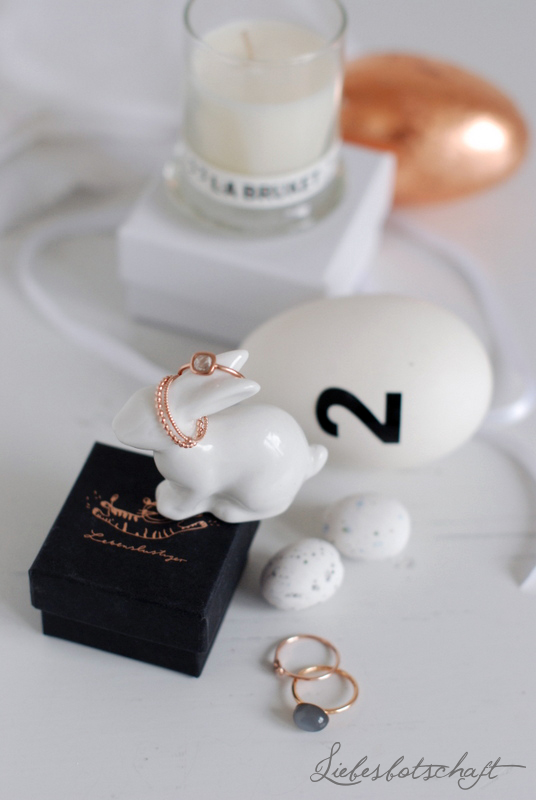 Anette herself has great style and is very creative – you can find more about her on her beautiful blog Lebenslustiger. 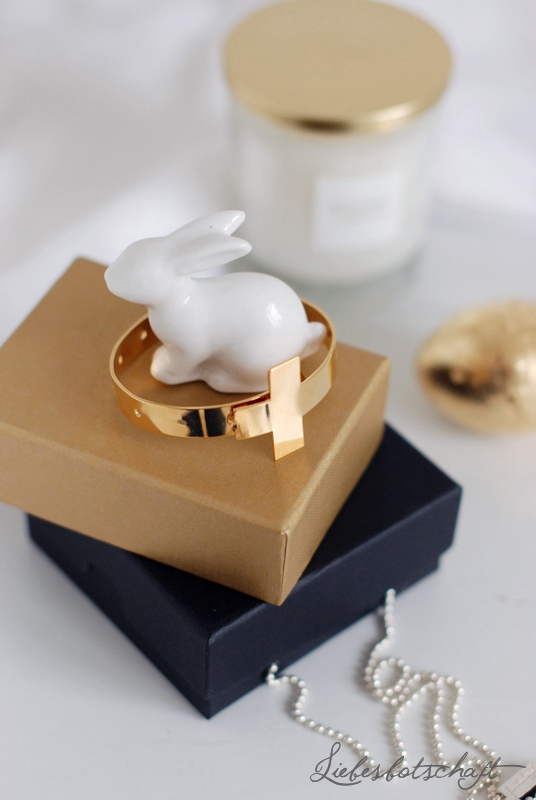 There you will find exceptionally beautiful knitwear and very delicate jewelry – simple with a little something. 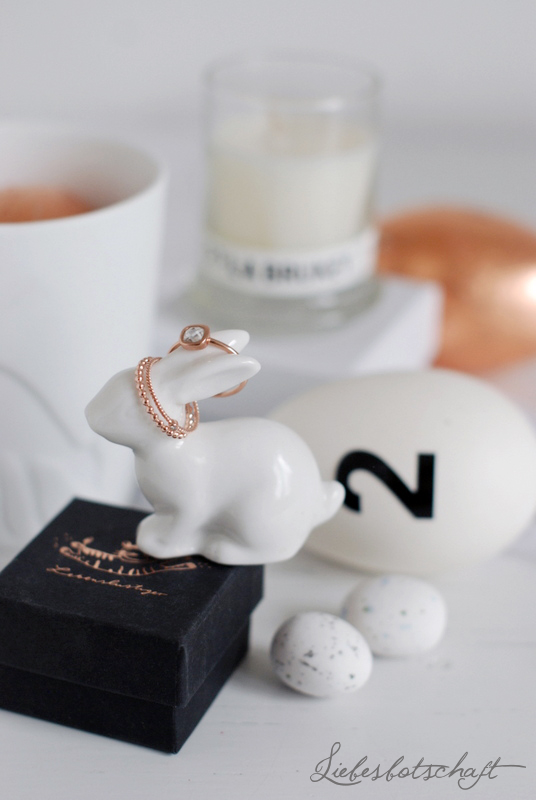 I was thrilled about the filigree rings in rose gold and gold and I have worn them nearly every day since they arrived! 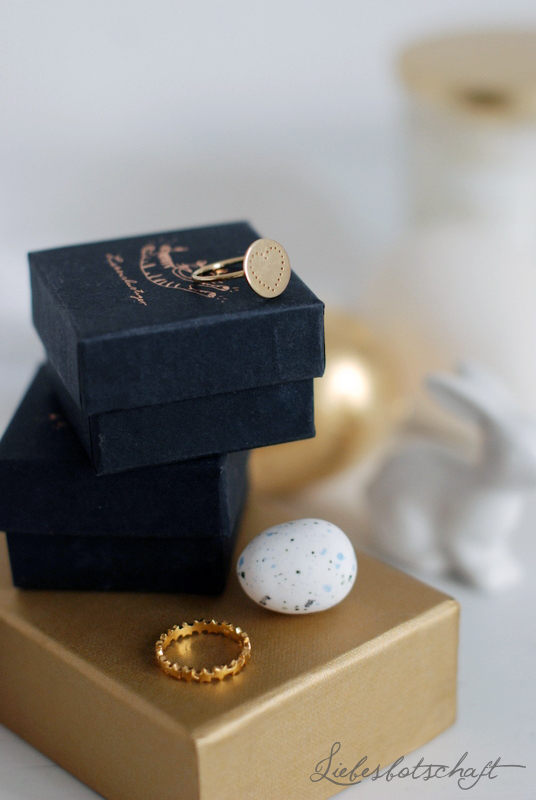 While I still like wearing my statement rings on more festive occasions, I prefer my Lebenslustiger rings for every day life, as the delicate jewelry is not in the way when doing your chores, because you can hardly feel it. The rings look the prettiest when arranged in a group and make fingers look very slim – I wore them before, namely HERE and HERE. The day after tomorrow, the latest, my fingers with Anette’s beautiful rings will grasp Anette’s steering wheel and will drive my kids around with their surfboards and accessories. Just like Anette in her day. WAS I CRAZY OR WHAT?! P.s. h+h Cologne was fantastic, Eva Brenner aka Romy Schneider was even more charming than on TV and I really had a lot of fun.